Other Notes: India Pale Ale. Only real fruit inside! 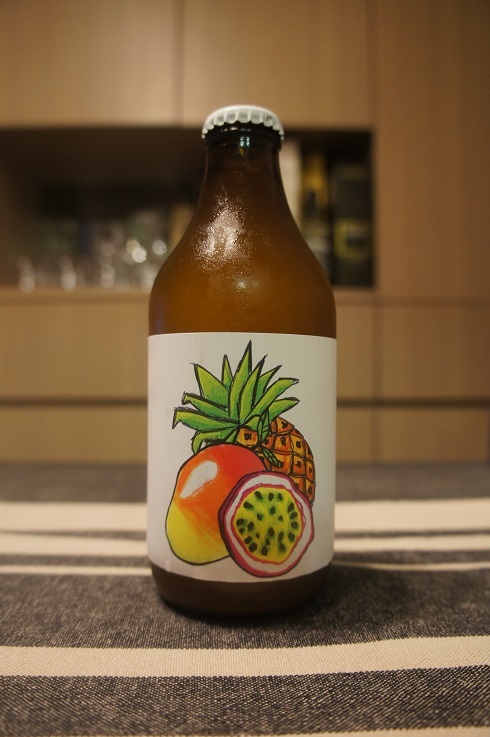 Brewer Description: (from bottle) Pango is a mix of passionfruit, pineapple and mango merged into a fresh and easy IPA. 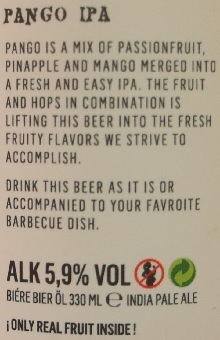 The fruit and hops in combination is lifting this beer into the fresh fruity flavors we strive to accomplish. Drink this beer as it is or accompanied to your favorite barbeque dish. Intro: A 330ml bottle with a best before date of 26th April 2019, ‘B25 lall-bin’. Poured into a Lost Abbey teku glass. Appearance: A hazy golden orange colour with a two finger white head that dissipated fairly quickly but left only sparse lacing. Aroma: Fruity mango, pineapple and passionfruit with hints of citrus peel. 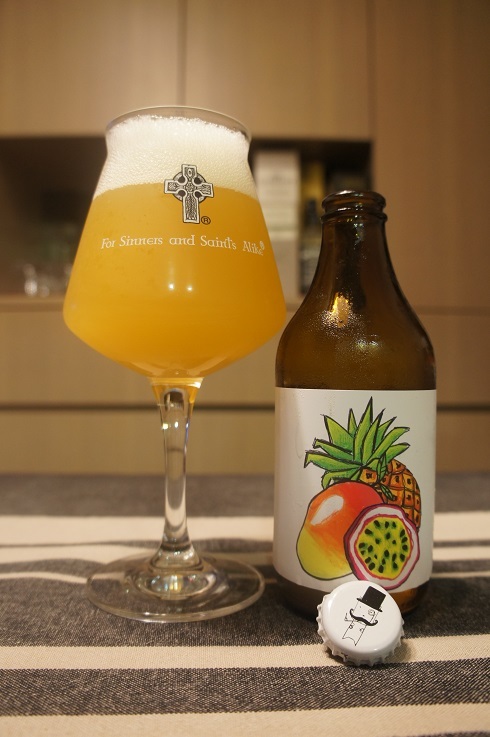 Taste: Similar to the aroma, but the passionfruit really stands out, followed by mango and pineapple with some light bitter citrus flavours at the end. Overall: Great aroma and flavours making it a great easy drinking all day IPA.